As always at the end of the year there were a lot of stories about interfaith families and the December holidays. The topic has been covered so much that it’s hard to find much new. But Rabbi Matt Gewirtz’ Why Santa Brought The Rabbi’s Daughter a Gift was extraordinary. When his youngest daughter, who says she wants to be a rabbi, asked if Santa would visit her, and his older children called her a baby and said Santa isn’t real, he told her not to stop “believing what your heart tells you.” He leaves her a present with a note from “Santa” saying he “knew she was Jewish but she got a present because she believed in him.” Though concerned he was spiritually confusing his child, he decides that “Her relationship with the mythical was age-appropriate, helped her delve deeper into her sense of wonder,…t was somehow about a connection to that which will ultimately make her feel safe and connected to the possibility of the unknown, to the potential for her to feel sure in the world of the mysterious.” I thought this was just the kind of wise and confident approach that we need more rabbis to take towards interfaith couples who celebrate Christmas. I liked two other personal stories about interfaith families whose Christmas celebrations don’t impair their Jewishness: in Holidays with the McDowells, a young man whose Jewish mother loves Christmas (with no Jesus) puts almost 100 Santas on display, while his Catholic father “in many ways has somehow out-Jewed his Jewish wife;” in The Hanukkah Tradition From My Christian Mother-in-Law, a Jewish woman gets a dreidel every year from her Christian mother-in-law. I didn’t like How The O.C.’s Chrismukkah Became a Real Life Holiday. I’ve written several times that I don’t think that Chrismukkah, to the extent it means mushing two holidays together to make a new one, is a good idea. (Sorry to be a scrooge but I don’t think things like the “Santa Dreidel” are a good idea either.) 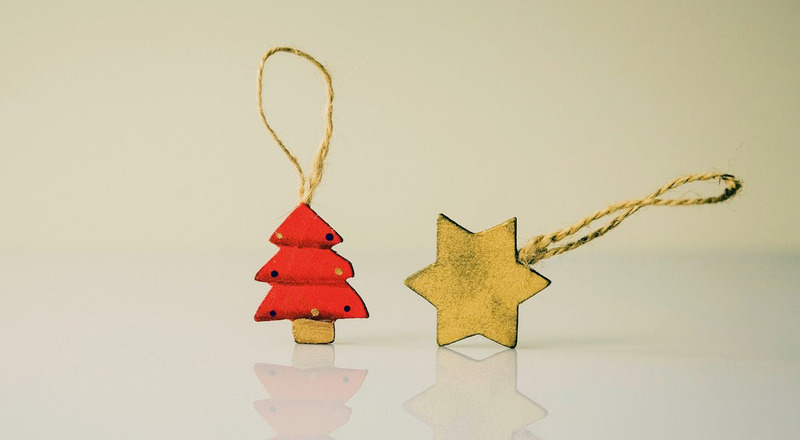 (Or that the term “Christmasukah” is a welcome addition to the discussion, as in Christmasukah: Conservative synagogue members discuss their approach to interfaith challenges.) The author says that Chrismukkah “brilliantly combined each holiday’s best attributes,” is “an embrace of the reality of a hybrid identity,” and “the perfect outlet to navigate the tension of assimilation.” He says the three people raised in interfaith families he spoke with discussed the isolation and confusion they experienced during Christmas. But the family of one of the three treated the holidays as equals and didn’t fuse the two together. There is still a way to go before Jews accept the idea that interfaith families can experience Christmas traditions without religious doctrine and can celebrate Christmas without undermining their children’s identity as wholly or partly Jewish. Maybe that’s why Rabbi Gewirtz’ story is so powerful, without even coming from an interfaith family. He reports that his daughter who for the time being still believes in Santa wants to be a rabbi when she grows up. This post originally appeared on www.edumundcase.com and is reprinted with permission. 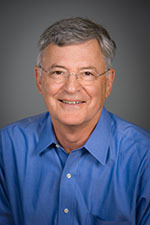 Edmund Case is the founder of InterfaithFamily and served as CEO from inception until he stepped down in March, 2015. He is the author of Radical Inclusion: Engaging Interfaith Families for a Thriving Jewish Future, co-editor of The Guide to Jewish Interfaith Family Life: An InterfaithFamily.com Handbook, and founder of the Center for Radically Inclusive Judaism.